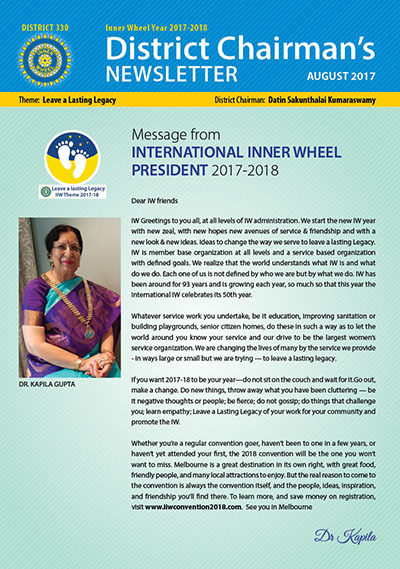 I also wish to congratulate and thank all my predecessors for their untiring effort to steer Inner Wheel over the years, to great success — in serving others. Someone once said "HALF THE WORLD IS POOR BECAUSE THE OTHER HALF IS HOARDING ALL THE RICHES". By being Inner Wheel members we are privileged to help this unfortunate group, As we create happier futures and better lives for them we strive to live the ideals of Personal Service. I will try my best to give priority to support and strengthen Clubs by working together with them to embrace service above self… which is the common dream we all aspire to achieve. In view of this, I specifically plan to set up a library at the RITA HOME, Kapar, Selangor. 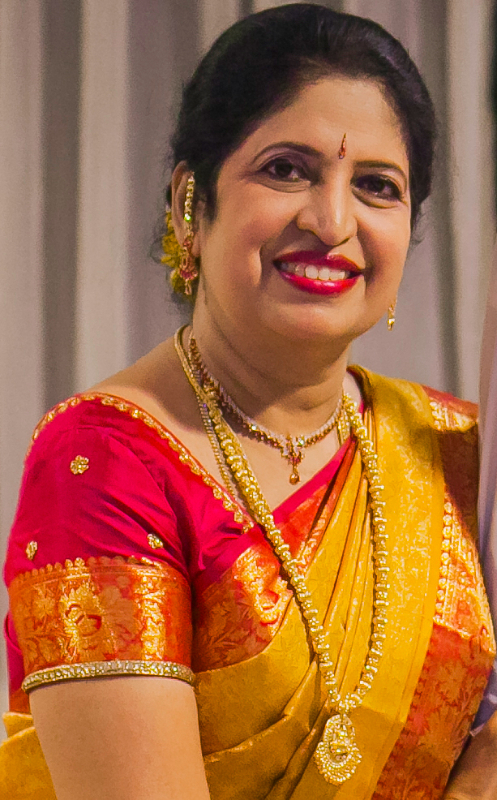 This Home caters for underprivileged children, disabled persons and senior citizens. Participation and contribution of ideas to carry out this project and other viable projects, from all members are most welcome…. 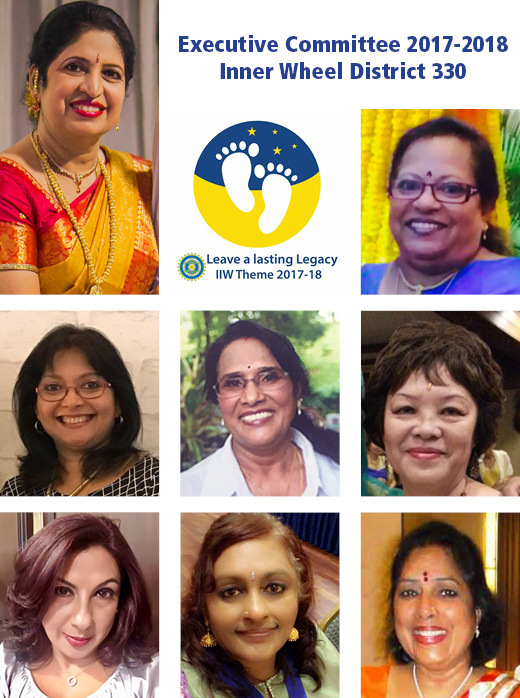 We will walk together as members of Inner Wheel to make a difference and to "LEAVE A LASTING LEGACY". 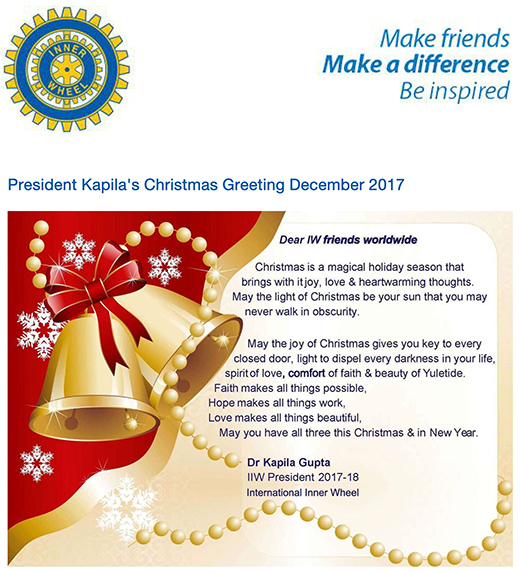 We shall also continue our quest for friendship and service to make Inner Wheel proud. Friends, we shall focus on giving rather than competition. We don't defeat people. Instead, we win them by bringing felicity and cheer thereby creating euphony and melody in their lives. Anticipating your cooperation and support all through the year to "LEAVE A LASTING LEGACY". Installations: PJ, KL, Penang, Mutiara Selangor, Kuantan/Indera Mahkota, Ipoh, and Ipoh East.